When Oscar Pistorius won the 2004 Summer Paralympics in Athens,, he became the first athlete to win a gold in a single below-knee amputee championship even though he medically qualifies as a double below knee amputee. Sports fans across the world rejoiced on his magnificent achievement and nicknamed him "fastest man on no legs". He has been one of the only few athletes to have participated in both Paralympics and Olympics. But, his success story was overshadowed by IAAF claims that Pistorius had an added advantage due to his artificial carbon fibre limbs over able-bodied athletes and ruled him ineligible for their competitions. However, Pistorius not only contested this decision but successfully overturned it at the Court for Arbitration for Sports with the help of the prevailing provisions of sports law. What is Sports Law? This question has repeatedly been raised by people regardless of their professional background. The answer to this question might seem deceivingly simple; nevertheless, the person on the other end fumbles while answering. The reason behind this hesitation perhaps has something to do with the dilemma as to what exactly is being sought from this prodigious legal discipline. The author will attempt to answer this question. A distinct Forbes list just for highest paid athletes evidences the rising popularity of the sports industry in the past few decades. The history of sports extends as far back as the existence of people as purposive and competitive. It simultaneously portrays as how the beliefs of the society have changed and what changes have been brought in the rules and regulations. The most eminent legal scholars have always unanimously held that law is essential for a society because it serves as norms of thecode of conduct. It keeps the community running. Without law, there would be a state of chaos where only the fittest will survive. Similarly, even though law and sports often get considered as “separate realms”; sports laws form the backbone of the sports industry regulating the myriad of interlinking legal issues ranging from anti-doping, gambling,andmatch-fixing to the choice of legal structure for sporting organizations. Sports without the governance of a body of law can be comparable to a football match without a referee; havoc. These laws have an unusually well-developed pattern of globalized regulation and overlap substantially with multitude areas of other distinct laws. Traditionally, many people believed that sports law is merely an amalgamation of various areas of law. As per this perspective, sports law lacked an identifiable body of regulations and was co-dependent on the legal system in general. Embracing this opinion, the authors of a leading “sports law” textbook went ahead and published that "the term 'sports law' is somewhat misleading. In reality, sports law is nothing more or less than thelaw as applied to the sports industry." During the last few decades, sports enthusiasts and scholars started questioning the historical approach. They firmly believed that a growing industry like sports required a legal backbone to support its development. 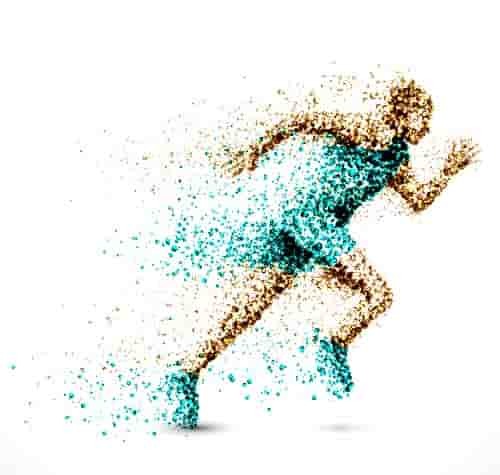 A change was felt in the stance legal industry through the peeking sector of law professionals to understand further and resolve legal issues revolving around sports and competitive events. Professor Burlette Carter was one of the many intellects who argued in favor of the development of sports law as a distinct area of law. She contended that “the transformative process of sports lawparallels the increased focus by law schools on sports, and the growing significance of sports regulation to participants, organizations, and communities.” She maintained that these developments would shape sports law from "a course without a corpus" to a self-sufficient area of law. The establishment of various governmental and non-governmental organizations with an autonomous power to formulate their regulations further fuelled this transformation. After years of debates and opposing views, sports law now gets perceived as an independent field of law. Supporters of this view argue that sports are a specialized field of entertainment which ranges far and wide from regulating diverse sports to broadcasting competitions to every corner of the world. It thereby requires being administered by a substantive body of law. It is professed by individuals undermining the authority of sports law that it is merely an amalgamation of diverse legal disciplines and has no legal base of its own. However, in reality, this statement applies to most ‘substantive’ fields of law. Legal grounds diverging from both civil and criminal law are co-dependent on each other. The Law of Torts can perfectly exemplify this, the primary aim of which is to punish wrongdoers similar to criminal law however it gets categorized as general standards of community obligation. Overlap of legal doctrines and terminology is inevitable. Sports law is now universally recognized not only in law schools across various jurisdictions but as a preferred field of practice for legal professionals. The Sports industry is now a fully-fledged business warranting the circulation of billions of dollars. In all fairness, the transformation of sports from a source of entertainment to a field of commerce is supported by a legal cornerstone. The sports law of US is divided into various categories as there is no single federal legislation for its regulation. Unlike most other nations, the United States does not have a sports ministry and most of the decisions are taken by independent committees charted under different legislation. 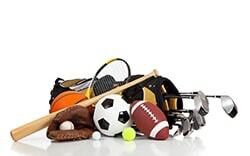 The sports law the US can be categorizedas Amateur Sports, Professional Sports,and International Sports. The first category ranges widely from high school athletics to exhaustive inter-university competitions. The Amateur Sports Act of 1978 led to the establishment of the Athletic Congress, a national governing body for amateur athletes, which administers a trust fund that allows amateur athletes to receive funds and sponsorship payments without losing their amateur status. It is the contractual relationship between an individual player and the team owner. Most sports clubs in theUS now have a Standard Player's Contract which fills in as a model work contract amongst players and the proprietors. Be that as it may, this model contract can be altered to oblige the uncommon needs of individual players and is authorized likewise. The two noteworthy worldwide sports events acclaimed across the world are the Olympics, regulated and is funded by the committee of International Olympic, the FIFA worldcup. The United States established the US Olympic Committee in 1950 in accordance with the provisions of the Ted Stevens Olympic and Amateur Sports Act, which was initially enacted in 1978. It is a non-profit corporation which is federally chartered and does not receive financialsupport from federal authorities. Established by Royal Charter in 1996, UK Sport, a government body, works in collaboration with the in-house sports councils and several other agencies in lieu of promoting sports I the nation. It is responsible for managing and distributing public investment and is a statutory distributor of funds raised by the National Lottery. UK Sport is funded by, and responsible for, the Department for Culture, Media and Sport. The enormous network of sports clubs throughout the UK is administered through their own National Governing Bodies (NGBs) of thesport. These NGBs frame the point of convergence for their game, giving the connection amongst diversion and advancement, preparing and rivalry and in addition office and arrangement improvement. By and large, the structure of the game in the UK, albeit complexand layered, caters for the needs of sport at every level - from grassroots development and recreational sport through to the best sportsmen and women representing the UK on the world stage. China has a national legislation which is commonly known as the law of the People’s Republic of China on Physical Culture and Sports, 1995 which aims at promotion and development of physical culture and sports in China. This Act regulates sports right from the school level by empowering the Department of Education Administration of China. The Act provides for application of the National Physical Training qualification standard for the beginners who are willing to take part in the sports activities in their school itself. There is also a dispute resolution body established under the law byestablishing arbitration institutions for resolving sports matter. This Act makes it mandatoryfor the State to include sports expenditure and funds for sports capital construction in financial budgets and plans for capital construction investment. The UAE is a comparatively new jurisdiction but is maturing fast in the field of sports law and dispute resolution. The two cities of Dubai and Abu Dhabi alone play host to some of the sporting world's most prestigious events including the Horse racing world cup, the only sunset Formula One circuit in the world, PGA ranked golf tournaments, ATP tennis tournaments, international marathons and the recent Indian Premier League cricket tournament. Significant developments have taken place in the past decade and as a result, sports agency from amateur to the professional level now follow the rules of international sports governing bodies. One of the most renowned sports associations in the UAE is the UAE Football Association. It was established pursuant to Ministerial Resolution Number 17 of 1972. The legal authority of the Ministry of Youth and Sport is derived from two statutes: Law Number 1 of 1972 concerning the ministries’ authorities and Law Number 12 of 1972 regulating the clubs and associations working in the field of youth care. The UAE is also planning to establish itself as a globally respected center of dispute resolutions in the sports industry. As a result of an agreement between the Abu Dhabi Judicial Department and the International Council of Arbitration for Sport (ICAS), a UAE chapter of the Court of Arbitration for Sport (CAS) has been set up in the country. In addition to CAS, there is also a draft law in pipeline proposing the establishment of an Emirates Sports Arbitration Centre. In India, sports over the past couple of decades have developed into a multi-billion-dollar industry with special emphasis laid on cricket. This has led to theestablishment of a distinct sports ministry known as Ministry of Youth Affairs and Sports. In April 2008, two separate Departments, namely, Department of Youth Affairs and Department of Sports were constituted with each Department under the charge of a Secretary to the Government of India. In accordance with the Olympic Charter that restricts government influence of sports federations, the sports bodies in India are autonomous entities. The Indian Olympic Association is responsible for handling all the matters related to international representation and promotion of sports in the country. In addition, there are federations for non-Olympic sports such as Board of Control for Cricket in India (BCCI) for cricket. These federations are directly affiliated to their respective international federations. All the sporting governing bodies are registered as societies under the Societies Registration Act XXI of 1860. They are recipients of government aid through various means ranging from direct financial assistance to indirect subsidies in the form of tax benefits. As a pre-requisite for receiving financial aid, every sports society is supposed to have a government-appointedan observer to overlook its internal process. The law governing sports is comparatively new and young but it not only regulates a multi-billion-dollar industry touching lives of people across the world but also helps to keep the essence of sports alive. The perception of sports law as a practice perhaps depends upon the opinion of those who practice it. In its most fundamental sense, this field of law has proven its self over the past decade as worthy of the importance it’s receiving at present. This series of articles will guide you through detailed envision of sports law. The next article will discuss the laws relating to sports and controversies surrounding sports law.